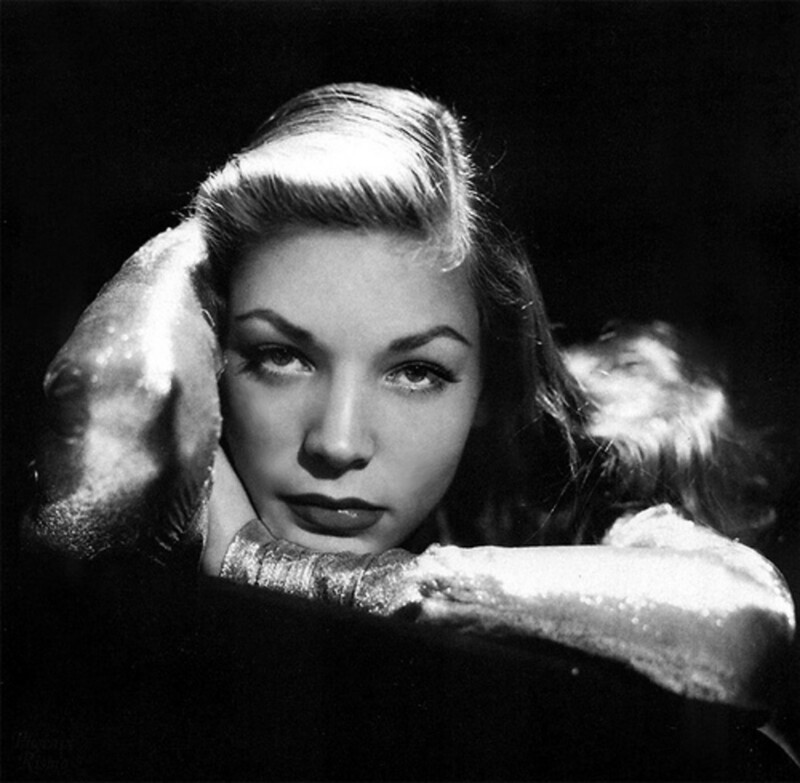 Lauren Bacall, the most sultry and independent of screen sirens. She was a star from the moment she stepped on screen, rocketing to fame after her very first movie role. Dubbed “The Look” because of her seductive stare, she immediately became known as one of the few actresses capable of holding her own opposite even the toughest of Hollywood leading men. One leading man in particular became her greatest screen partner, as well as her greatest love; the king of film noir, Humphrey Bogart. Their relationship (onscreen and off) has since become known as one of Hollywood’s greatest love stories. But Lauren Bacall’s story doesn’t begin and end with Bogie. 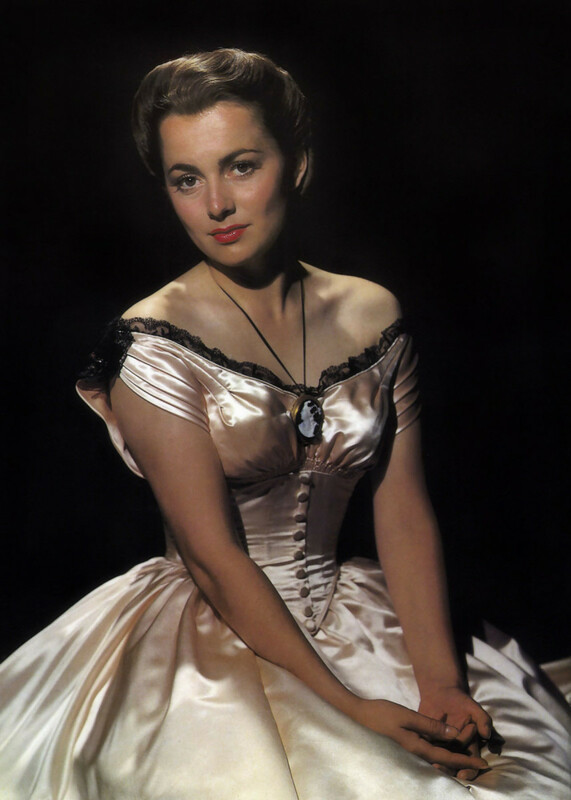 This brash leading lady also starred in a wide variety of films on her own, including dramas, adventures, comedies, and even melodramatic romances. She also managed to conquer Broadway, winning a Tony Award for her leading role in the musical, Applause. She remained active in Hollywood right up until her death at the age of 89, appearing in films such as, Dogville and The Walker, as well as lending her distinctive husky voice to animated films like Howl’s Moving Castle. And although her trademark stare may have originally been borne out of nerves (holding her head down was the only way to stop herself from shaking), to see Lauren Bacall onscreen, you’d never suspect that anything could ever rattle this intelligent and most enduring of bombshells. FYI: I chose the order of my Lauren Bacall top ten by considering each film's importance in Lauren’s overall career, the size/importance of her role in them, and their overall popularity today as evidenced by their ratings on sites like, IMDB, Netflix, and Rotten Tomatoes. Naturally, feel free to watch them in any order you like (this is merely a recommended top ten). You might watch them in the order listed here, chronologically (like I did), or in a way that corresponds with your own movie tastes. If you discover your favorite Lauren Bacall film is missing, feel free to post a comment explaining why you would recommend it. Without needing to exaggerate, To Have and Have Not is the movie that single-handedly changed Lauren's life. 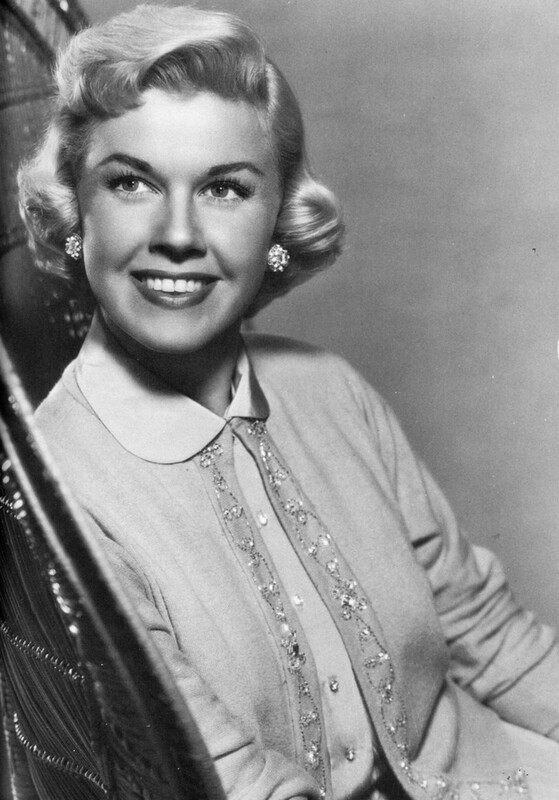 Not only was it her film debut, it’s, also, the movie that introduced her to the love of her life, Humphrey Bogart. Based on the novel by Ernest Hemingway, the story and characters were drastically changed in this film adaptation. The most notable difference is the change in setting (so as not to upset FDR’s Good Neighbor Policy). So, rather than Cuba, To Have and Have Not takes place in Fort de France, Martinique, shortly after the fall of France. Bogart stars as Harry Morgan, a fishing captain who is, reluctantly, enlisted by the French Resistance to smuggle fugitives onto the island. Lauren plays Marie “Slim” Browning, an American pickpocket who has become stranded on the island due to lack of funds. Of course, Slim and Harry soon start a romance and the sizzling chemistry of these two stars is the real reason to watch this movie. Lauren’s role of Slim was partially based on director, Howard Hawks’ wife (also, called Slim), who, actually, had a hand in bringing Lauren to her husband’s attention in the first place (she saw Lauren’s picture on the cover of Harper's Bazaar and asked Hawks to screen-test her). Despite being a mere 19 years old at the time, Lauren exudes a world-weary confidence as the smoky and mysterious Slim, immediately establishing her distinctive screen personae in her very first scene. In fact, her old soul quality makes the sizable age difference between her and Bogie (who was 45 at the time) almost imperceptible. In short, To Have and Have Not is a well-written drama with smart, memorable dialogue but, it, also, offers the rare opportunity to witness two actors, actually, fall in love on-camera. Made to capitalize on the success of To Have and Have Not, The Big Sleep, reunites Lauren with Bogart and director Howard Hawks. Based on the famed Raymond Chandler novel of the same name, the movie is known for its absurdly convoluted plot. But, once again, the real attraction of this film is watching the interactions between Bogie and Bacall, which are full of sexual tension and double entendres. The story revolves around detective Phillip Marlowe (Bogart) as he's hired by the wealthy Sternwood family on a routine investigation of the youngest daughter’s gambling debts. The family’s eldest daughter, Vivian (Lauren), also, inquires about the mysterious disappearance of a trusted family friend. All of this seems fairly routine to Marlowe, until this standard case, unexpectedly, turns into a murder investigation. Originally made in 1945, The Big Sleep was, actually, withheld from release for a year to make way for last minute wartime dramas to hit theaters before WWII ended. Partly due to the extra time this decision allowed, almost half of the film was reedited and reshot before it was, finally, released. Most of the edits revolved around better showcasing the chemistry of Lauren and Bogie and their plan, certainly, succeeded. Be aware, you may need a notepad if you, actually, want to fully understand the plot (the sheer number of characters, alone, is enough to make your head spin). But, luckily, The Big Sleep is one of those movies that even when you don’t understand where it’s going, you’ll still enjoy the ride. Adapted from the stage play of the same name, this borderline claustrophobic film was the fourth and final movie Lauren made opposite husband, Humphrey Bogart. The film features an incredible cast of A-listers, including, not only Bogie and Bacall, but Edward G. Robinson, Lionel Barrymore, and Claire Trevor (who won an Oscar for her performance). Playing against type, Lauren appears as a more fragile character this time around, that of vulnerable widow, Nora Temple. 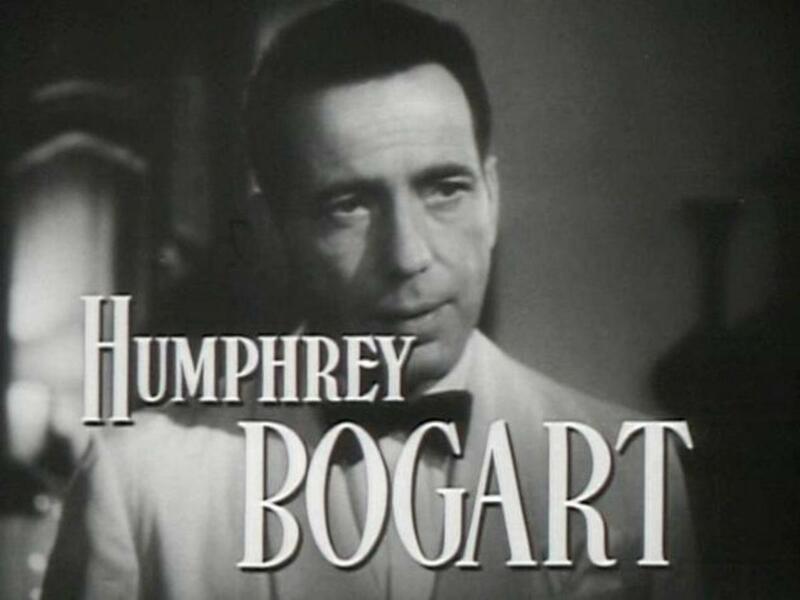 Bogie plays Frank McCloud, the commanding officer of Nora’s late husband, George. Partly out of guilt over George’s death during the war, Frank has come to Key Largo to visit Nora, as well as, George’s wheelchair-bound father (Barrymore). Nora and her father-in-law run a small rundown hotel on the island, but Frank’s arrival happens to coincide with the hotel’s off-season. However, a strange group of men have paid extra to keep the hotel open for their private use. It doesn’t seem that suspicious at first, until one of the local policemen goes missing. It turns out that the men at the hotel are gangsters, led by the infamous Johnny Rocco (Robinson). With a hurricane looming, Rocco and company keep Frank and the others hostage while they're forced to wait out the storm. Trapped together in the rickety hotel, tensions continue to rise and there’s no telling who will blink first. Immensely different from the original stage production, Key Largo is still a pretty solid drama. Directed by the legendary John Huston, the film took only 78 days to shoot and, interestingly enough, the film’s final confrontation was, actually, based on the original book ending of another one of Lauren’s films: To Have and Have Not. The third of Lauren and Bogie’s pairings, Dark Passage is, probably, the most overtly romantic of their 4 films together, showing a softer side of the Bogie/Bacall dynamic. Based on the novel, The Dark Road by David Goodis, the film stars Bogie as Vincent Parry, a man wrongly convicted of murder who has managed to escape from prison, but now must prove his innocence before the authorities close in on his whereabouts. Lauren plays the part of Irene Jansen, a woman who takes pity on Vincent’s plight due to her late father’s own wrongful conviction. With Irene’s help, Vincent has a better chance at evading capture, but how long can he possibly stay hidden when his face is plastered across every newspaper in the city? Filmed on location in San Francisco, Dark Passage is a, particularly, unique film, in that Bogart’s face remains hidden out of frame for over half the picture. This unusual technique is achieved by shooting a good portion of the film from Vincent’s point-of-view (called the subjective camera). It's a pretty impressive undertaking, considering that the modern “steadicam” hadn’t even been invented yet. Probably the best thing about the use of the subjective camera in this film is that it provides a great showcase for Bogie’s co-stars and they all live up to the task. Lauren and Agnes Moorehead (Bewitched) both have memorable performances in this film, as do a number of skilled character actors. Though more understated than some of Lauren’s other films, if you like quiet character pieces, Dark Passage is, definitely, the one to see. Directed by Douglas Sirk, Written on the Wind is often considered the masterpiece of 1950’s melodrama. Somewhat of a precursor to TV shows like, Dallas and Dynasty, this glossy and stylized movie is based on the book of the same name by Robert Wilder. The book is actually, a thinly veiled account of a real scandal involving 1930’s torch singer Libby Holman and her tobacco-heir husband, Zachary Smith Reynolds. In the film, Lauren plays (Libby's equivalent) Lucy, a woman pursued by two best friends: one rich and one poor. Lucy, quickly, falls for the “rich one”, Kyle (Robert Stack), the privileged son of an oil baron. The couple enjoy a whirlwind courtship and are soon married, much to the consternation of Mitch (Rock Hudson), Kyle’s hard-working best friend (and the aforementioned “poor one”). Mitch was hoping to pursue a relationship with Lucy before Kyle latched on to her, but, instead, he is left to spurn the advances of Kyle’s snarky little sister, Marylee (played by an Academy-award winning Dorothy Malone). After a year of peaceful and happy matrimony for Kyle and Lucy, something suddenly changes between them. Seemingly out of nowhere, Kyle’s former alcoholic tendencies begin to resurface, with Lucy having no idea why. As Kyle begins to sink further and further into an alcoholic depression, he threatens to destroy, not only himself, but everyone that he holds dear. Based on the classic Agatha Christie novel of the same name, this elegant whodunit is often remembered as the ultimate ensemble piece (with good reason). The movie features an almost unheard of collection of A-list stars, including, Michael York, Sean Connery, Anthony Perkins, Vanessa Redgrave, Albert Finney, Ingrid Bergman, Jacqueline Bisset, John Gielgud, Richard Widmark, and, of course, Lauren, herself. Set in the 1930’s, the film’s plot centers around the murder of a successful business tycoon, which just so happens to take place while he was traveling on the famed Orient Express. Now, fellow passenger and master detective Hercule Poirot must solve the murder before the train reaches its destination and his suspects disperse. But that suspect list begins to grow longer when the murdered business tycoon is exposed as a murderer, himself. Director Sidney Lumet does a fine job filling this passenger train with a load of genuinely suspicious-looking characters. And everyone in this large ensemble cast gives a performance worthy of a part much larger than the ones they’re, actually, given. Lauren, for one, is at her witty and sophisticated best as the motor-mouthed socialite, Mrs. Harriet Hubbard, who might, actually, be hiding more than her talkative nature implies. Also, 38-year-old Albert Finney, practically, disappears into his role as the 50-year-old Belgian detective. But, it's Ingrid Bergman’s performance as the timid Greta that deserves particular praise, winning her an Academy Award for playing one of the smallest parts in the film. Released while Agatha Christie was still living, this stylish movie is said to be the only adaptation of her work that she approved of, and that's no small praise coming from the mistress of mystery, herself. Probably more widely known by its British title (North West Frontier), Flame Over India is, probably, best described as the British equivalent to a Western. Taking that even further, it, actually, shares some similarities with the Western classic, Stagecoach (which might be more than a coincidence, considering that the film was co-written by Patrick Ford, son of John Ford, the original director of Stagecoach). Set in the early 1900’s, Flame Over India takes place in the North West Frontier Province of “British India”, which is now modern Pakistan. When a Muslim uprising threatens the life of the young Hindu prince, Captain Scott of the British Army (Kenneth More) is entrusted with taking the boy to safety in faraway Kalapur. The child’s American governess, Catherine Wyatt (Lauren), also, insists on coming along, as do a host of eclectic civilian characters, each with their own specific reasons. The only way for this group to make the treacherous journey is by train but, the only one available is an old derelict locomotive called the Empress of India, maintained by its loving driver, Gupta. Flame Over India features some very impressive battle and adventure scenes, but it, also, manages to remember its characters along the way (very refreshing for an adventure flick). Lauren gives a strong performance as the elegant and stubborn Catherine Wyatt and she’s bolstered by the presence of a number of great British character actors, including Wilfrid Hyde-White (whom American audiences may recognize from his role as Colonel Pickering in My Fair Lady). A really good adventure story with intriguing characters, this is a little known movie that is, certainly, worth your time. Directed by Vincente Minnelli, this light romantic comedy is a refreshing change of pace from the more serious fare Lauren is often known for. She stars as Marilla Brown, a successful fashion designer who meets sports writer Mike Hagen (Gregory Peck) while vacationing in California. The two hit it off right away and are married before the vacation is even over. But when the newlyweds head back to their mutual hometown of New York City, they slowly begin to realize how little they, actually, know about each other. And they soon discover that their lives run on very different tracks. Offscreen, Lauren was going through the difficult struggle of witnessing husband Humphrey Bogart’s losing battle with throat cancer but, shooting Designing Woman proved to be a blessing for her psyche. Working on this charming, witty comedy was just what the doctor ordered and did much to lift her spirits (and remained one of her personal favorites). 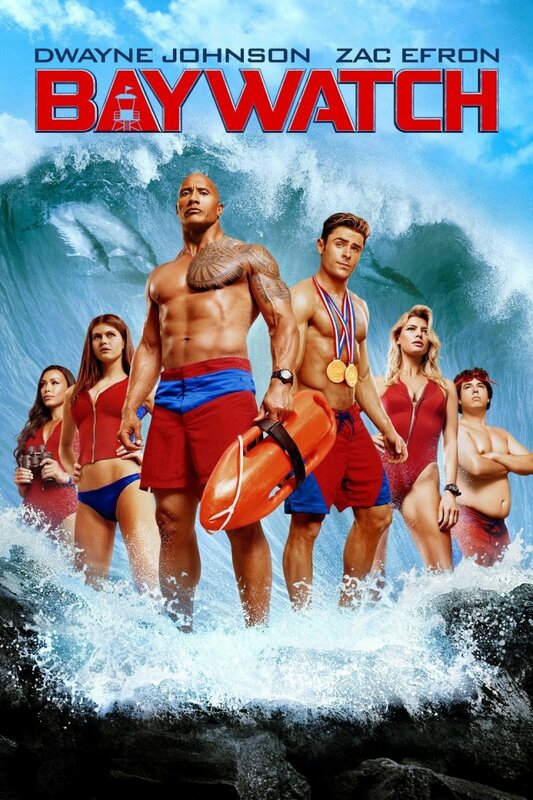 Honestly, it’s hard not to love this fast-paced and light-hearted film. The chemistry between Peck and Lauren is irresistible and it’s really a shame the two didn’t pair up more often onscreen. Set in Communist China, this adventure yarn pairs Lauren opposite the larger-than-life John Wayne and (as usual) Lauren proves herself more than capable of holding her own opposite her masculine co-star. Adapted for the screen by Albert Sidney Fleishman from his novel of the same name, Blood Alley stars Wayne as Tom Wilder, a stir-crazy sea captain long imprisoned by the Chinese who is, suddenly, (and unexpectedly) rescued. He discovers that his rescuers are from a nearby village and that one of the founders of the rescue is American missionary, Cathy Grainger (Lauren). Cathy explains to Tom that the villagers hoped that he would agree to ferry them to Hong Kong. That means taking on the near impossible task of smuggling an entire village out of Communist China. But, how can Captain Wilder possibly transport the villagers out of China when he doesn’t even have a boat to do it with? Even with a boat, how will they get past the Chinese military unnoticed? Produced by Wayne’s own production company (Batjac Productions), Blood Alley was, actually, shot far away from China in San Francisco Bay, around an area known as China Camp (which is now a state park). The movie features a number of likeable side characters, including the well-meaning Susu (Joy Kim) and the cigar-smoking, American-educated engineer, Tack (Henry Nakamura). It's worth seeing if just to witness some of the fairly ingenious methods the villagers use in their attempts to escape. Directed by Michael Curtiz, Young Man with a Horn is often considered to be the first major Hollywood jazz film. Based on the novel of the same name by Dorothy Baker, the story is, actually, inspired by the life of Bix Beiderbecke, a well-respected jazz cornet player. The film reunites Lauren with her To Have and Have Not co-star, Hoagy Carmichael, as well as, former schoolmate Kirk Douglas (the two attended the American Academy of Dramatic Arts together). Douglas stars as Rick Martin, a lifelong trumpet player mentored by respected jazzman, Art Hazzard (Juano Hernandez). Ever since he was a small boy, Rick has lived for playing the trumpet and nothing else. But when he falls in love with the aloof and independent Amy North (Lauren), Rick’s life and all his former philosophies get turned, completely, upside down. Lauren gives an extremely memorable performance in her small but, pivotal role of Amy, but the film really belongs to Kirk Douglas who pours his heart and soul into his performance as Rick. Yet, it’s Juano Hernandez who gives this film its heart, with his warm and heartbreaking performance as Rick’s beloved mentor, Art Hazzard. Young Man with a Horn had the good fortune that jazz hit the mainstream shortly after its release, allowing its album to hit number one on the Billboard charts. 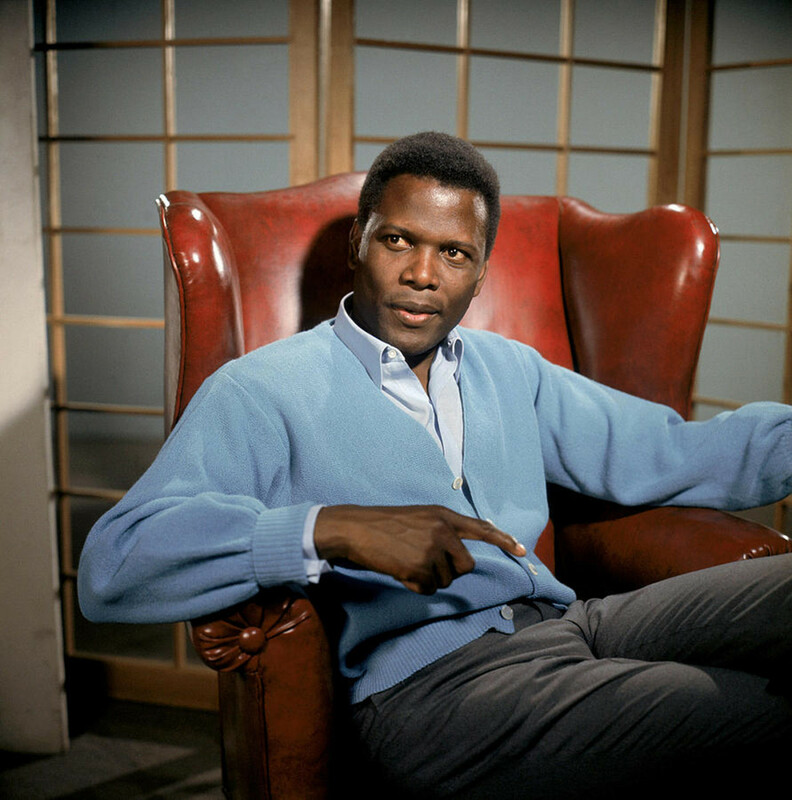 Surely, any jazz fans who watch this film today will be drooling over the soundtrack within the first twenty minutes. Inspired by a creative mixture of the plays The Greeks Had A Word For It by Zoe Akins and Loco by Dale Eunson & Katherine Albert, How To Marry a Millionaire was the one Lauren Bacall film I knew I couldn’t finish this list without (and fans of this film would never forgive me). The movie follows the exploits of Schatze (Lauren), Loco (Betty Grable), and Pola (Marilyn Monroe), three friends who buy a luxurious penthouse apartment (that they can barely afford) in order to attract successful businessmen. Specifically, these girls are fishing for millionaires. But, as the girls chase their dreams of marrying millionaires, they each, eventually, have to decide whether money really matters more to them than love. The first film ever filmed in widescreen Cinemascope (but, oddly, the second one to be released), How To Marry a Millionaire’s unusual full-blown orchestral opening was designed as an introduction to the new widescreen format. Viewed now, the performance, frankly, lasts a little bit longer than it should, but it's worth it to enjoy the adorable comedy that follows. Unfortunately, Lauren's more grounded role as Schatze gets a little overshadowed by the showier antics of her blonde co-stars. But, regardless, Lauren is the intelligent leader of these three golddiggers, playing a perfect straight man while still possessing a biting wit of her own. While Marilyn may be the name most people associate with this light-hearted comedy, there is plenty here for Lauren Bacall (and Grable fans) to enjoy. It's a hilarious romp featuring three charismatic stars at the peak of their talents. And if you’re a fan of any of the film's leading ladies, there’s simply no excuse to miss it. If you would like to learn more about the incredible life of the iconic Lauren Bacall, I highly recommend her own 2006 autobiography, By Myself and Then Some, as well as, her 2012 "update", Now. Dark Passage had me on the edge of my seat the whole time. Older movies have that sense of realism and suspense that most movies don't have anymore. Great list! If I'm remembering correctly, I believe that the nickname "Steve" was another thing that Howard Hawks based on his wife. I think she called him "Steve" so, he added that quirk to the character of Slim. I love Lauren Bacall, and To Have and Have Not has to be one of my all-time favorite movies. I recall that in that movie, although the character's name was Harry, she called Bogie's character "Steve." In her autobiography Lauren Bacall revealed that in their private moments together she often called her husband Steve. Their son is also named Steve after that pet name. This is a wonderful list. I've seen most of these movies, but there are a couple I've missed. I'll have to take care of that. I'm glad you enjoyed the Hub! :) I, actually, watched "Flame Over India" through my Netflix account, so I know they, at least, have it on their DVD plan. They have it listed under its alternate name "Northwest Frontier" so, look it up under that name when you search for it. I enjoyed reading your Hub about Lauren Bacall. I always loved her. I've never seen "Flame Over India". I just made a note to see if I can get it on Netflix. We have another Hubber that writes Hubs on movie stars and reviews them. You might like to read his Hub. Search for Cogerson. I voted this Hub UP. Bacall is an icon of acting and class that will forever be emulated but never duplicated. I am watching Flame Over India right now (streaming from Netflix at the time of this note) and paused to look up some info. Thank you for the effort you put forth to honor her here! I'm so glad you enjoyed reading my hub! :) I love "To Have and Have Not" and that Bogie/Bacall box set sounds like a great one to own! I hope you do get a chance to check out some of the others on the list. It looks like "Young Man with a Horn" and "Written on the Wind" are on the TCM schedule for April so, maybe you check those two out then! :) But, if you like the murder mystery aspect of "The Big Sleep", I think you'd really enjoy "Murder on the Orient Express". Thanks so much for the comment and votes! great list of films! Lauren Bacall is an amazing actress, i actually just caught the end of To "Have and Have Not" on TCM the other night, i also recently got all four films (number 1-4) in your list of Bogart and Bacall movies in a box set for christmas, they are great films to watch, especially The Big Sleep and To Have and Have Not, I'm going to have to try some of her other movies you suggest! Voted up, awesome and intersting!